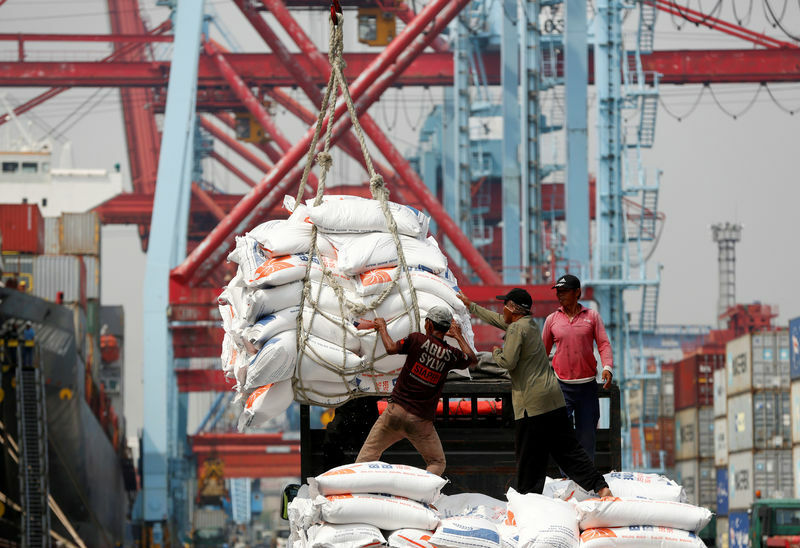 JAKARTA (Reuters) – Indonesia posted a surprise trade surplus for a second straight month in March, data from the statistics bureau showed on Monday, confirming the central bank’s outlook of a narrowing current account deficit. Southeast Asia’s largest economy had a surplus of $540 million in March, compared with February’s $330 million surplus and a forecast of $180 million deficit in a Reuters poll. Exports fell 10.01 percent from a year earlier to $14.03 billion in March. This was against an 11.82 percent drop expected in the poll. Imports dropped 6.76 percent to $13.49 billion, compared to the poll’s forecast of a 3.76 percent decline. Trade deficit hit a record high of $8.5 billion in 2018 and authorities have been trying to reverse that by raising tariffs to halt imports and relaxing rules to support exports. Analysts say an improvement in trade and current account deficits is a determining factor for Bank Indonesia (BI) to start loosening monetary policy, now that inflation is stable and the U.S. Federal Reserve will probably not raise rates further this year. BI last year increased interest rates by a total of 175 basis points in response to a weak rupiah and capital outflows that were partly prompted by rising U.S. interest rates and large trade and current account deficits. The central bank’s next policy meeting is scheduled for April 24-25.